The current service offerings at Hawthorne Hangar Operations, Los Angeles-area Hawthorne Municipal Airport's newest service provider, will be steadily improved over the next few years, culminating in a new, multi-million dollar facility by 2020, according to the company. Los Angeles-area Jack Northrop Field/Hawthorne Municipal Airport received a second FBO with the opening this week of Hawthorne Hangar Operations (HHO). 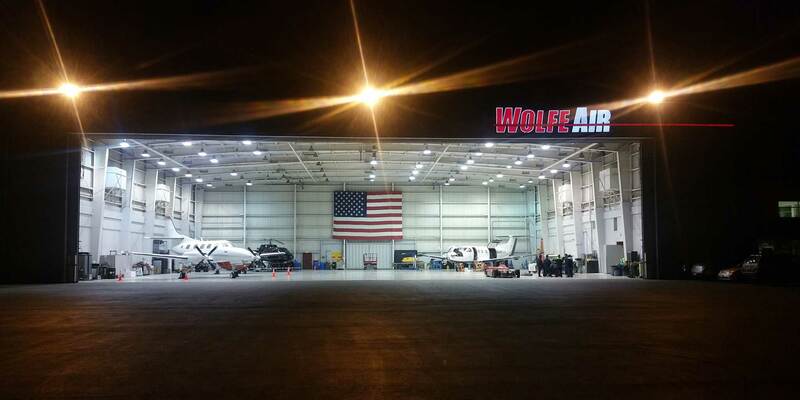 Located in the Wolfe Air hangar off Runway 7/25, the Avfuel- branded location currently offers self-service fueling for both jet-A and avgas from its $1.6 million fuel farm, which has a capacity of 30,000 gallons of jet-A and 2,500 gallons of avgas. A new 3,000 gallon jet fuel tanker is expected to arrive next week. The facility has 14,000 sq ft of office space, including a 2,000 sq ft of passenger terminal with a 12-seat conference room, passenger lounge, showers, crew cars and concierge service. The complex also operates an adjoining 18,000-sq-ft hangar that can accommodate a Gulfstream G650. Next week, the company will begin renovations on a 3,000-sq-ft two-story building that was formerly part of Northrop Aviation’s research division, which it expects to outfit as a passenger terminal by end of September. In 2019, Schulte told AIN, plans call for that building to be razed in preparation for a new 10,000-sq-ft, four-story terminal building with a two-level, 200-space underground parking garage. In addition, the approximately $13 million project will include a new 15,000-sq-ft hangar with two helipads on its roof, complete with fueling capabilities. Construction is expected to be completed on the new campus by 2020.